The RX2 International Series presented by Cooper Tires is primed to build upon a successful maiden season in 2018, with the confirmation that key partners Olsbergs, VEIDEC and title sponsor Cooper Tire Europe are all back on-board for more high-octane rallycross action. Cooper is one of the most recognisable and reputable brands in the automotive industry, and in addition to its title partnership with RX2, the company also supplies tyres throughout the campaign to all competitors, with its first-class products enabling drivers to push to the limit in all conditions. 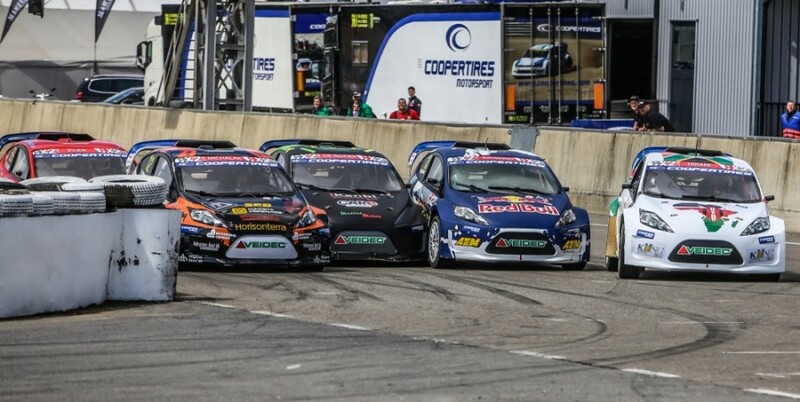 “As presenting sponsor to the RX2 International Series for a second consecutive year, the Cooper Tires brand continues to show its commitment to the FIA World Rallycross Championship’s feeder series and its up-and-coming drivers,” stated Sarah McRoberts, Marketing Communications Manager for Cooper Tire Europe. Swedish firm Olsbergs – a specialist in the design and manufacture of electronics and hydraulics for radio remote control systems used in loader cranes and timber-handling cranes – has similarly renewed its support as an official technical partner to the burgeoning series. “Olsbergs is delighted to play a key role in a championship that is actively seeking to discover, nurture and promote the stars of tomorrow,” enthused Olsbergs Managing Director, Jan-Erik Steen. “It is no coincidence that some of the biggest names on the World Championship stage cut their rallycross teeth at RX2 level, and as a pioneering company with our focus firmly on the future, the synergies are very clear. VEIDEC – a Swedish company that will supply its market-leading, sustainable chemical products for repair and maintenance purposes to all RX2 competitors in 2018 – will bolster the series’ green credentials as it returns as an official technical partner. “The RX2 International Series is the perfect platform for expressing VEIDEC’s passion for quality and sustainability,” explains VEIDEC CEO, Rickard Pålsson. “RX2 is about action-packed combat at the very highest level, and it will be exciting to strengthen the series with our focus on health and the environment. With little more than a month-and-a-half remaining until RX2’s 2018 campaign races into life at Mettet in Belgium, 18 drivers are currently represented on the full-time entry list. They will be announced in due course over the coming weeks.